Enjoy a fun-filled day on a pristine beach in the most beautiful water of Turks and Caicos! Cut through the turquoise waves in turks and caicos on your own jetski! Take a jetski guided or unguided tour! Get past the calmness of Sapodilla Bay and you'll get to jump some killer waves. 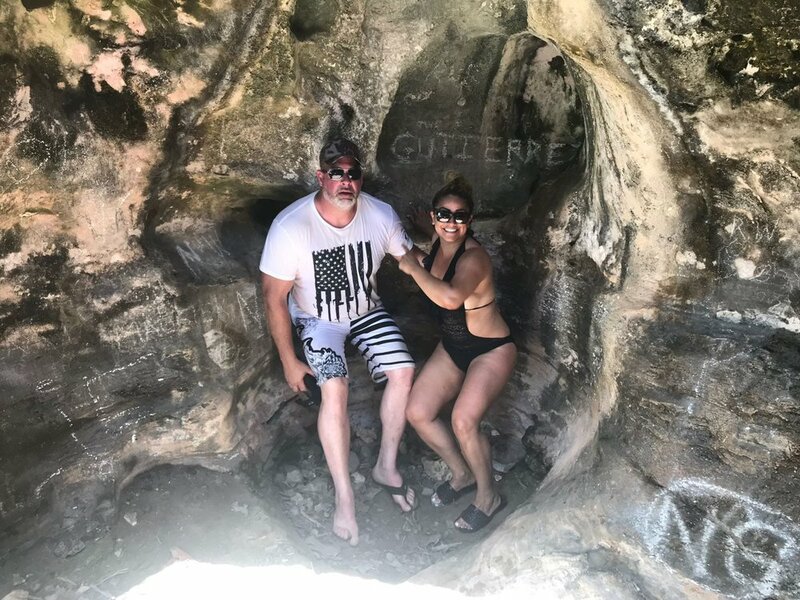 Discover the sunken pirate ship, the caves and other secret beaches and Pirate Coves. Pull up on your own private beach and enjoy the sun and waters of Turks and Caicos. Grab a SUP and enjoy the calm waters of Sapodilla Bay. Glide over sea turtles swimming beneath your board, look at stingrays skimming the ocean floor, lay down on your board and take in Nature's Beauty that is the Turks and Caicos Islands. Enjoy the beautiful turquoise colors of Sapodilla Bay. Rent a kayak and head on over to Chalk Sound, a sheltered lagoon across from Sapodilla Bay. This scenic area has hundreds of small rocky islands in shallow beautiful turquoise water. The indigenous Turks & Caicos Iguana can be found along with bonefish and barracuda in the surrounding water. 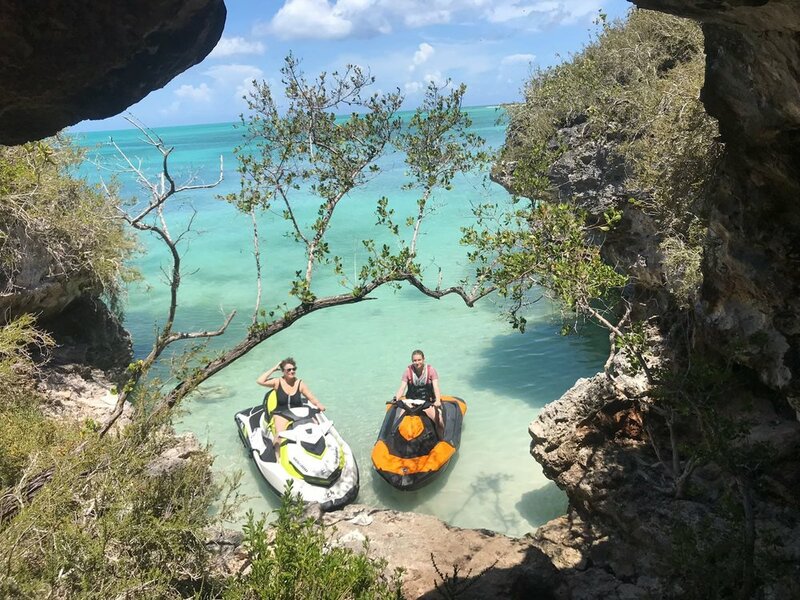 Whether you want a guided tour of the beautiful Turks and Caicos Islands or you just want to grab our boat and go explore by yourself, we’ve got you covered! Our spacious 17’ Boston Whaler® makes it easy to hug our coastline or visit the iguanas on the lovely islands. Tubing is awesome on the Turks and Caicos Islands. Whether you're a small child or you're a big adult kid we can take it calm or whip you around attempting to get you wet! 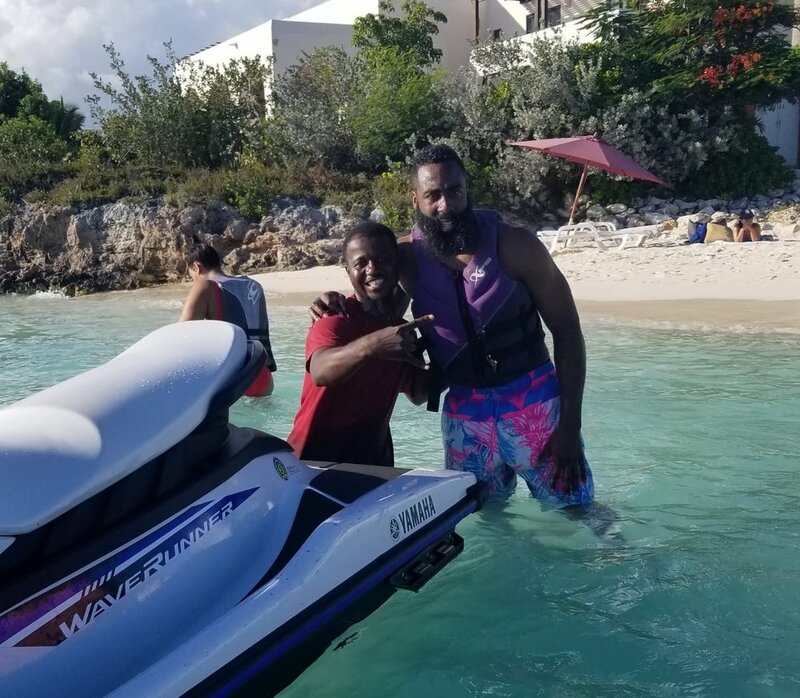 Even famous U.S. basketball players enjoy a good jetski in Turks and Caicos!